What do you do after you've achieved your lifelong dream? Larry’s Lawnchair is a feature-length documentary that uncovers the true story of urban legend Larry Walters, a California man who in 1982 went into his girlfriend’s backyard in San Pedro, attached 42 helium-filled weather balloons to his Sears lawnchair, and soared up over 16,000 feet above Los Angeles. 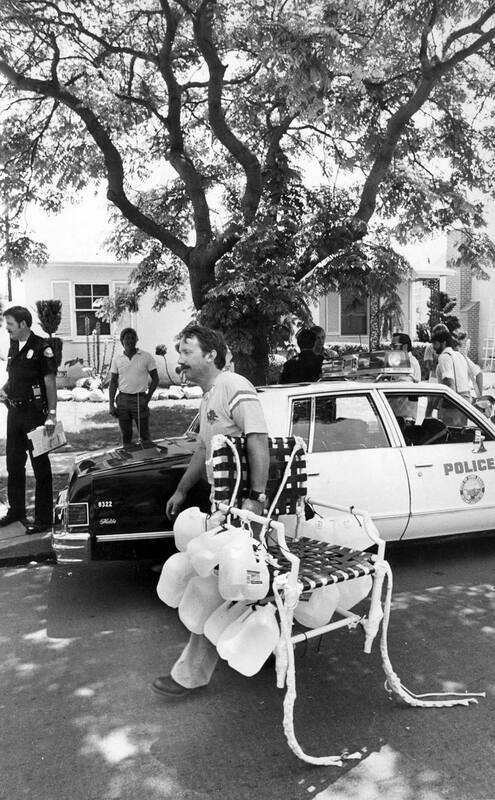 After being spotted by a TWA pilot, Larry shot out a few balloons with his B.B gun to descend, and eventually crash landed in power lines in Long Beach. Miraculously, Larry survived, and his adventure quickly captured the imagination of the world. Larry, appearing on the Tonight Show, told Letterman that his flight was the realization of a 20 year dream. 11 years after his infamous flight, Larry’s story had faded from the headlines, and Larry was living a quiet life as an Angeles Forest volunteer forrest ranger. On October 6, 1993, Larry hiked to his favorite campsite and shot himself in the heart. He left no note. Filmmaker Nirvan Mullick began researching Larry’s story for a screenplay, but after stumbling onto long lost 35mm footage of Larry's original flight, decided to make a documentary as well. The footage had been sitting in a garage for over 32 years. Through interviews with family, coworkers, and witnesses, as well as archival material and Larry’s “Top Secret” flight journals, "Larry's Lawnchair" paints an uplifting yet tragic portrait of a man who lived his life long dream, but couldn't live without it.